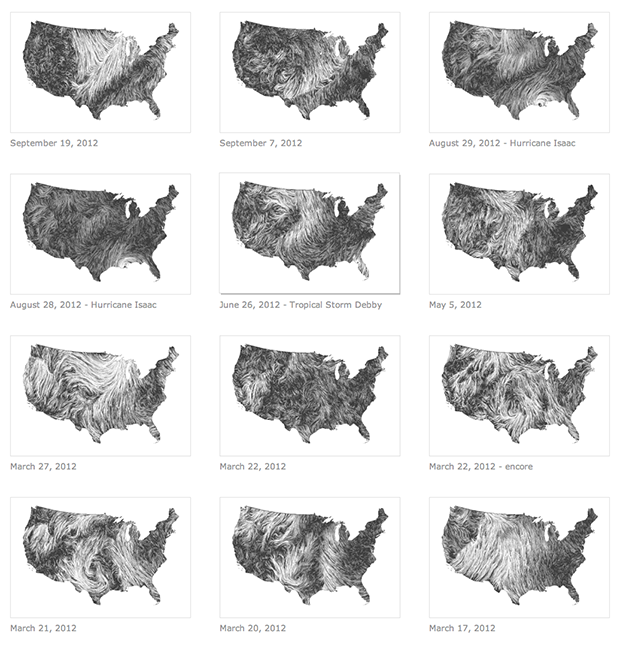 With Hurricane Sandy wreaking devastation in the Northeast, I don’t know if it’s a good day or a bad day to blog about the wind, but I came across this living map of the wind created by hint.fm and was captivated. You can also see a wind gallery of previous dates in recent history. Fascinating. 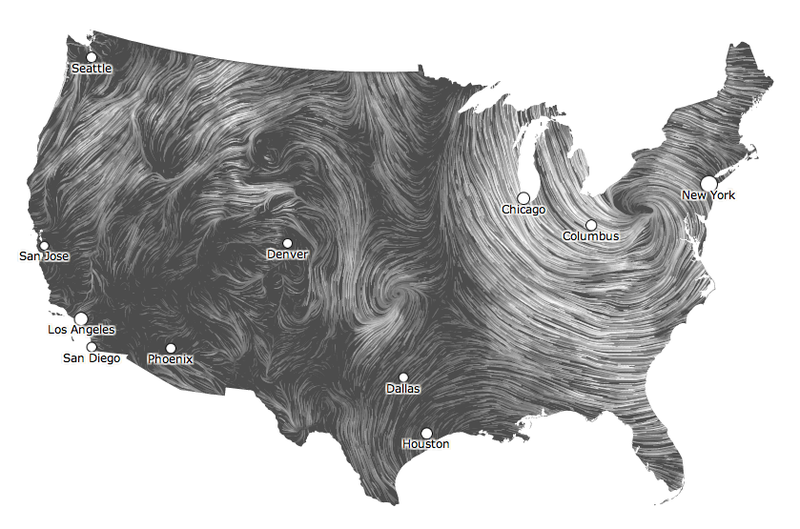 I posted about the wind map of the United States a while back. Now there’s a global wind map. Mesmerizing. First impression: it’s a whole lot more windy over the oceans than it is over land. Intuitively obvious (even to the casual observer, as an old friend used to say), but the visualization drives the point home instantly. Now, what happens if we combine global wind data with ocean current data? It would be interesting to see how they interact. Thanks to Andy Kirk at Visualising Data for pointing this out.